Located on the southwestern side of Florida along the Gulf of Mexico, Sarasota is quickly growing as a destination for tourists, families, and retirees alike because of its pristine beaches, endless dining and entertainments options, and tropical climate. 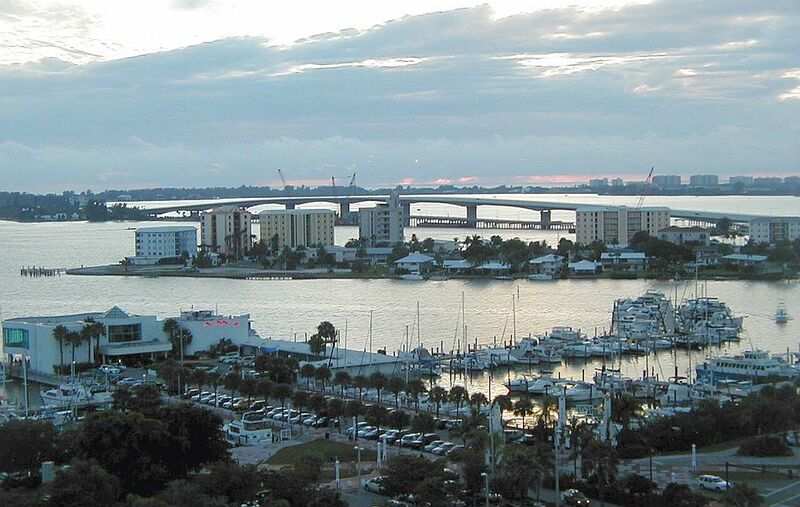 The number of Sarasota apartments is growing to meet the demand from people wanting to move to this fascinating city. The residents of Sarasota are very diverse, ranging from families to retirees to university students attending one of the many colleges within city limits, including the University of South Florida Sarasota campus and the Ringling College of Art and Design. Sarasota is also a big working city. Though driving is become more complicated due to increased tourism and construction, the average commute time remains at 24 minutes. It’s also a popular city for commuters to Tampa, as it’s only an hour drive north of Sarasota. As the former winter home of the Ringling Brothers, the city pays homage to the founders of The Greatest Show on Earth with The Ringling, a collection of museum and historic buildings inspired by John Ringling. The state art museum features pieces from John Ringling’s personal collection, and The Circus Museum is the only museum in the country dedicated to showcasing the history of the circus. In addition to the world of the circus and the scenic white-sand beaches of the city’s keys, Sarasota offers a lot in things to do, especially for outdoor explorers. Head to Myakka River State Park to enjoy kayaking or hiking through 58 square miles of sprawling Florida wilderness. You might even encounter an alligator or two! The city is also well-known for its great food trucks, markets, and restaurants with diverse menus, making it a great place for foodies. Apartments in Sarasota are widespread, and you’re bound to find what you want in the area you want. Looking for a studio apartment close to Sarasota’s best shopping and dining? Take your apartment search to Laurel Park, a historic downtown neighborhood on the National Register of Historic Places. It’s one of the most walkable neighborhoods in the city, boasting beautiful old homes and pretty tree-lined streets. Downtown apartments in Sarasota offer a lot of different amenities, including pet-friendly and all bills paid (utilities included) options. If you’re looking for a beachside luxury apartment, look at the keys. Siesta Key is a popular neighborhood for ocean lovers, offering great views from your window as well as many beachside bars and restaurants just down the street. On the other end, most of the cheap apartments for rent are in the western part of Sarasota and consist mostly of large apartment complexes, but you might find one or two elsewhere as well. Our apartment finder will give you a guide to all the ratings and reviews you need to find your dream Sarasota apartment. RentLingo is your trusted apartment finder in Sarasota. We hire local experts, such as former property managers and locators to anonymously tour and consistently rate and review every available place. They share their honest and unbiased perspective with you, so you know how every rental ranks in the area. Because our experts tour every property, we can offer consistent apartment ratings across every region. So unlike finding a Backpage or Craigslist rental, you can trust these apartments are verified and trustworthy: whether it's a cheap studio or a one bedroom with all utilities paid all the way up to a nice house for rent or a luxury condo.